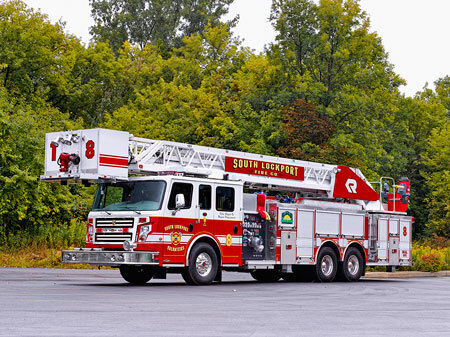 This aerial ladder truck is similar to the model that the Halifax Fire Department will be purchasing. Photo courtesy of Rosenbauer America. The Halifax Selectmen addressed several important issues Tuesday, August 18, in a brief 45-minute meeting. Fire Chief Jason Viveiros updated selectmen on the selection of the new aerial ladder truck that will be purchased with the $714, 210 FEMA Assistance to Firefighters grant program. Viveiros updated selectmen on the specific model his department had chosen after a very close analysis. Viveiros and his team chose the low bidder, Rosenbaur America, out of Attleboro. Principal Appraiser/Assessor Karen Trudeau presented recommendations from the Board of Assessors that the tax rate remains the same for both residential property (89.5% of the town’s tax base) and commercial property. The board considered splitting the tax rate, as it does every year, splitting the tax rate to apportion a higher tax to commercial business owners. The board agreed with Assessors that the rate should remain uniform. Selectmen proposed to write a letter to all of the town’s representatives at the state level regarding proposed changes to the public records laws in the Commonwealth. The Board has vocally opposed the changes, with Selectman Troy Garron noting that the change would increase the burden on towns and cities to comply while the judiciary and Office of the Governor would claim exemption from the law. Both Seelig and Selectmen Chairman Kim Roy expressed disappointment with the City of Brockton. “I’m sorry it has come to this,” said Roy. Seelig added that he has simply been ignored for too many weeks. “We’ll have to connect into our own water at night!” quipped Selectmen Chairman Kim Roy, who has been very vocal about the Monponsett pond water situation. A special town meeting will be held Sept. 8 at the Halifax Elementary School at 7:30 p.m. Three articles will be considered. Two concern the fire truck grant: the first will allocate money originally voted at the annual town meeting to finance the first year’s lease of a new ladder truck and the second to cover expenses for the new FEMA grant truck, and return the remainder to the taxpayers. The third article concerns the Halifax Elementary School’s IT budget, which has a surplus. The school is asking to use the approximately $11,000 it now has left over to begin putting in place the infrastructure for a new phone system, which is estimated to cost approximately $30,000. The phone system itself is not being voted at the special town meeting. This article is being framed as a safety issue, as each classroom does not currently have a phone. Selectmen remind residents that this meeting may save taxpayers money, and a 100-person quorum is required for the meeting to begin. • Two routine “live entertainment licenses” were granted to Dawn Corby and Salon Serenity.